Remember that time I registered for TWO races on the same day? Sure, I have some crazy friends (and I may be there at some point in the future) who sign up for multiple races on the same day ON PURPOSE, but this was a TOTAL accident! Last year I volunteered at the San Diego Mermaid Packet Pick-Up. As a way to say THANKS they gave us a free race entry (how awesome?!). I had an overflowing race calendar last year, so instead of doing the race then I saved the entry till this year. 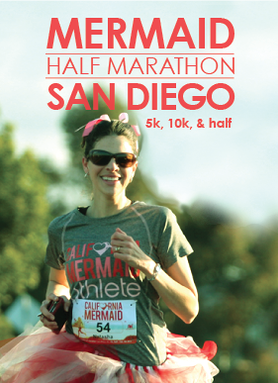 A couple months back I redeemed my entry and registered for the San Diego Mermaid Half. You can still register and save 10%! That is... UNTIL TODAY... When I got a reminder email about the San Diego Mermaid Half being SATURDAY... YUP, SAME DAY AS THE OTHER 5K I REGISTERED FOR! I honestly didn't even think it was a possibility (I swore THEY made the mistake, not me...) until I triple checked all my emails. 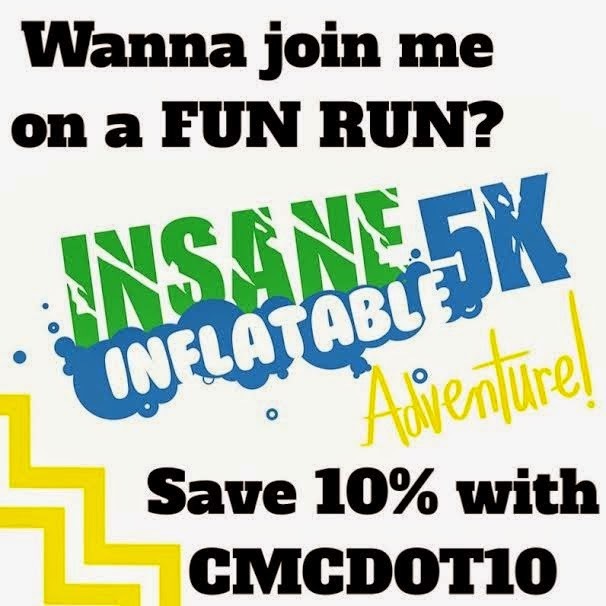 Thankfully I was able to go on the Insane Inflatable 5K website and adjust our wave time (so instead of the 9am wave, we will be starting at 11:30am). We did have to pay $5.50 each in transfer fees, but that is better than not being able to do it. So, Saturday will be a BUSY, BUSY morning ;) Now to figure out my race outfits! Have you ever double booked yourself before? How fun! I will see you at Mermaid!